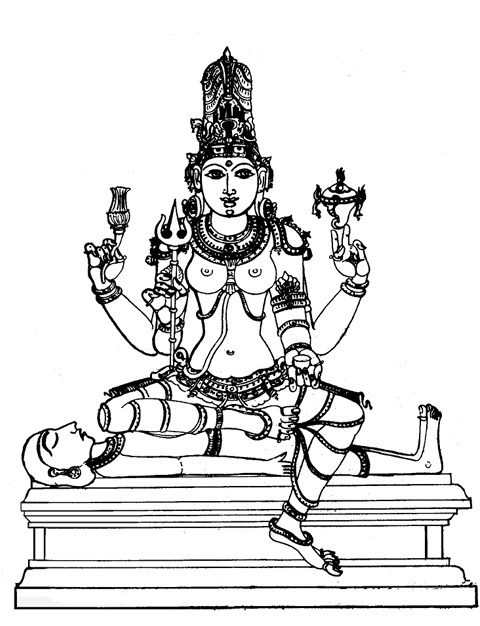 The kunjikA stotra is famous tantric stotra which is recited with devImahAtmaya. According to different sampradAya ( tantric tradition ) and gurU paramparA ( master pupil lineage ) the text of stotra varies ,Same is true about devimahAtmaya .Most famous version is attributed to rudrayAmala .Besides rudrayAmala , Gauri tantrokta , dAmar tantrokta , kAlI tantrokta , baglA tantrokta and siddha sarasvatI tantrokta are some other versions of kunjikA stotra. 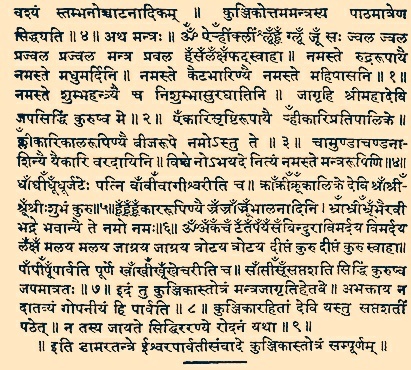 In each version mainly mula mantra varies , some textual antiquity is also there with each .For example in kAlI tantrokta version dakshinkAlikA mantra and mahAkAla mantra are impregnated ( garbhasta ) with mAtrikA mantras .The following version is attributed to dAmar tantra .Followers of dAmar mArga ( dAmar patha , a tamsic branch of tantra mainly focusing on siddhI of yoginis and shudra devtAs ) uses this stotra for unlocking secretes of sapatashatI .Besides from present division of devImahAtmaya( attributed to kAtyAyanI tantra , bhuvneshvarI samhitA and guptAvatI commentary ) dAmar tantra have it’s own division of devimahAtmaya peculiar to dAmarmArgins.